A simple browser-based utility for generating random Joint Photographic Experts Group graphics files. Just press a button and instantly get a new random JPEG picture. Fast, free, and without ads. Press a button – generate a random JPEG image. Created by mad scientists for mad scientists. Color Picker Select colors here. If no colors are specified, it will use all possible colors. Bit Size Size of individual random pixels. Generate similar color tones Select this to generate similar colors to selected ones. Number from 0 to 1 Similarity coefficient (0 to 1). Random jpeg generator tool What is a random jpeg generator? This tool creates random JPEG pictures. First select colors that you want to use in the output JPEG image, then set the size of each random pixel and set the width and height of output JPG. Optionally you can make it generate similar colors to your selected colors by enabling similar colors option. In this example we generate a 300x300px JPG file out of completely random colors. 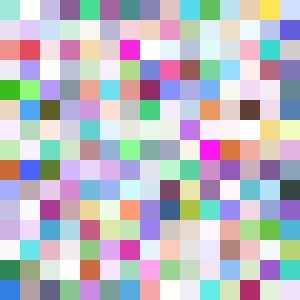 Each random pixel is 20x20 pixels in size. 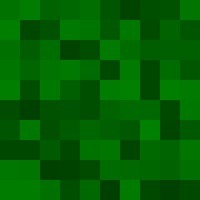 In this example we generate a 10x10 JPEG matrix out of random greenish colors, creating a nice-looking, Minecraft-like camouflage pattern. Each matrix square is 20px in size. To generate various greenish tones, we enable similar color tone option and set the similarity coefficient to 0.5.